The Savoy 2-Slice Toaster delivers perfectly even browning for a crisp and delicious way to start your day, with an extra-high lift to ensure total safety when removing your toast. 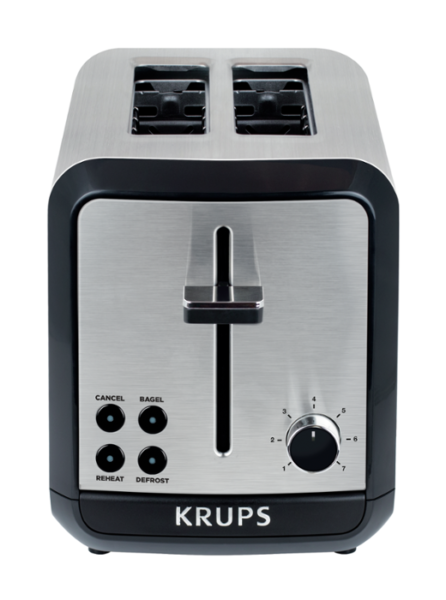 This black and stainless steel toaster features a choice of seven browning levels and extra-deep slots for flawless toasting results. Enjoy perfectly browned toast with the reliable Savoy 2-Slice Toaster. This stainless steel toaster is the perfect way to start your day, with a hot, crunchy breakfast toasted to golden-brown perfection. An integrated high-lift lever lets you easily remove your toast or bagel in total safety. 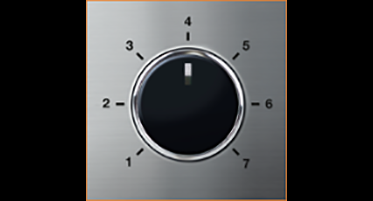 A rotating knob with seven browning levels comes together with extra-deep slots, for precise and perfectly even browning results that cover the entire slice. 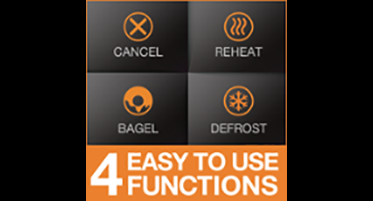 Additional features include a 30-second reheat function, a defrost setting and a bagel setting for flawless toasting of bagels. 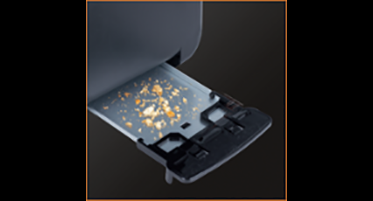 Rounding it all off is a removable rear crumb tray for easy clean-up. 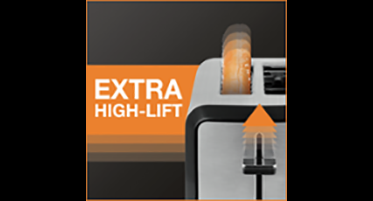 A feature designed for enhanced safety, convenience and ease-of-use, the extra high lift lets you safely and easily remove toast without any risk of burning your fingers. 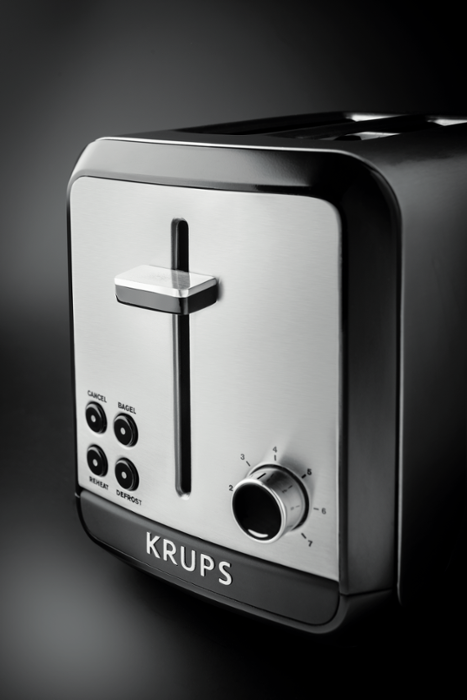 The rotating knob with 7 browning levels gives your breakfast an upgrade, with exceptional precision and customization, for toast and bagels browned just the way you like it. 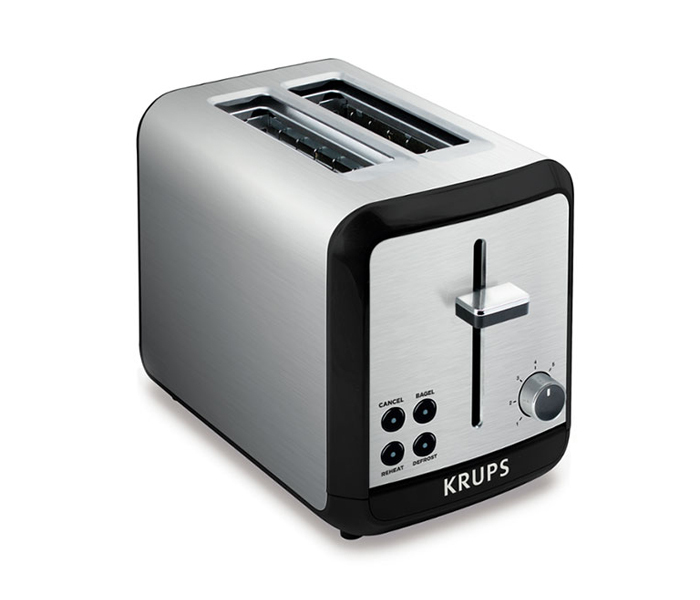 This high-performance toaster is equipped with extra-deep slots, providing the ideal placement for flawless browning results that cover the entire slice of bread. 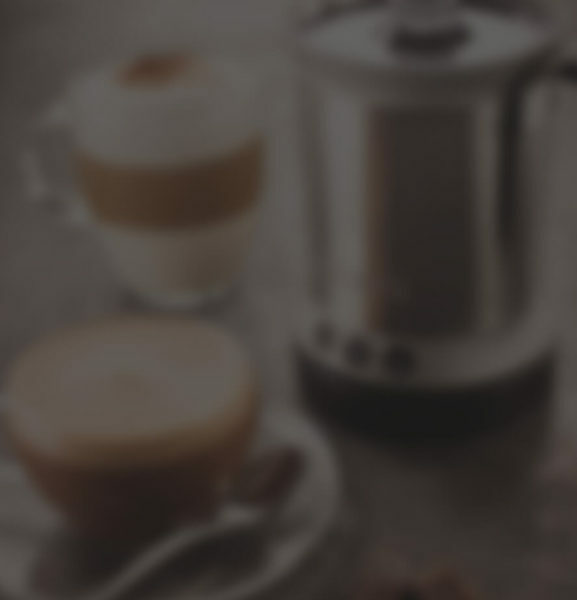 CANCEL lets you stop toasting at any time. 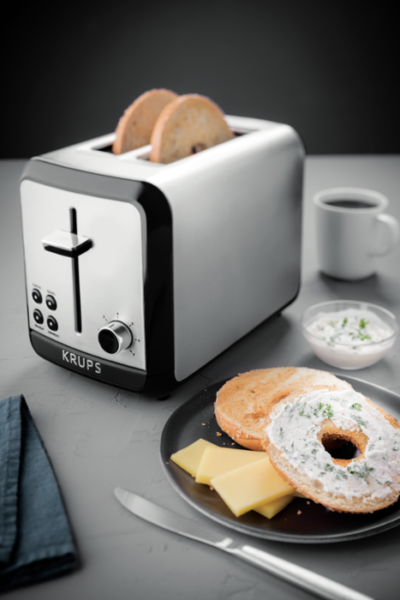 The BAGEL setting is the perfect level for toasting bagels. 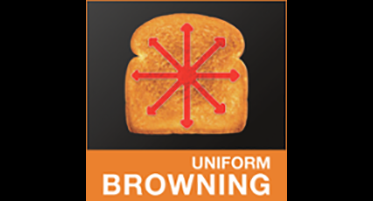 REHEAT re-warms toast for 30 seconds. 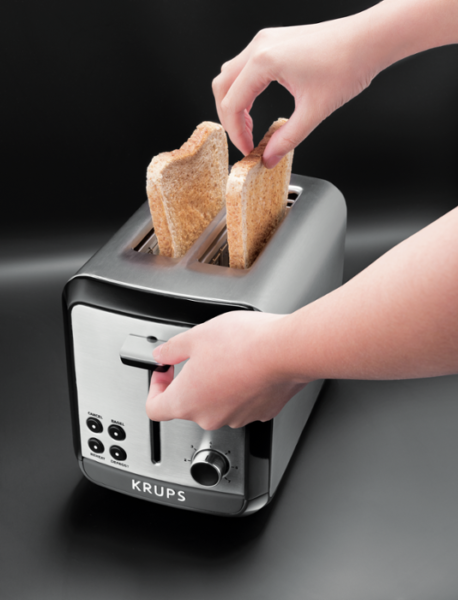 DEFROST lets you toast frozen bread. 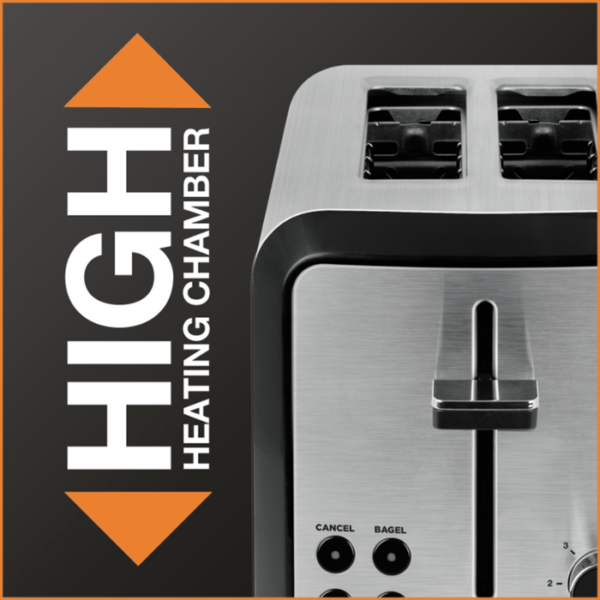 The highly convenient design features a removable rear crumb tray for cleaning and emptying crumbs with absolute ease, for a cleaner and more hygienic toaster day by day.